There are many mind games such as Sudoku, Crossword puzzles, chess etc. Playing mind games is fun but challenge your brain. It improves your memory, thinking ability. It trains your mind; thereby you can make new strategies and save information in your mind for a long time. There are many benefits of meditation. It keeps your mind calm, improves focus, increases concentration power and also increases positive thinking. On the other hand, yoga relaxes your body and mind, also improves brain function and memory. Yoga & meditation keeps your health good. Try exercising your muscles. Indulging in stress busting exercises such as aerobics, Zumba, etc, strengthens brain muscles and improves performance, by increasing oxygen supply to the brain and reduces the risk for disorders. Such exercises help get past your mental exhaustion and afternoon slumps, thereby helping your brain stay sharp and attentive. Hanging out with people who are either younger or elder to you challenges and improves your brain power. It offers you many opportunities to grow and learn new things, thereby activating your brain muscles. Being acquainted with such people can draw you into meaningful conversations through threaded discussions on various topics. Such discussions help you keep grasp you new trends and happenings and stimulate your mind, which helps intensify your brain power. In this competitive world, you have to increase your logical activity. Always do hard work with the help of smart work. The Logical reasoning question that helps to develop your thinking level. Considering the enormous competition and thereby increased stress levels, it is significant to keep your brain active and healthy. 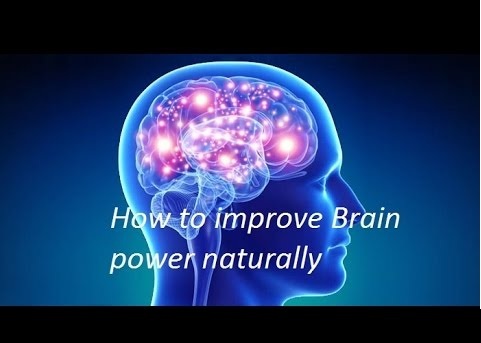 By inculcating the above-mentioned exercises or ways in your everyday routine, you too can facilitate your highly convoluted mind and improve your brain power.